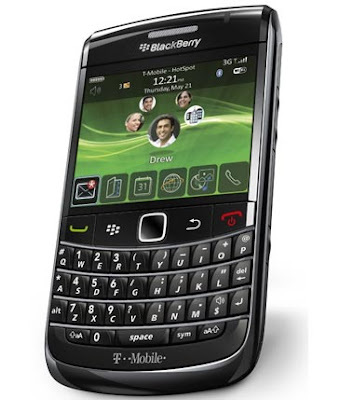 Posted in Blackberry and tagged Blackberry, BlackberryMessenger, facebook, Facebook 2.0, Facebook features, Research In Motion, User interface. Bookmark the permalink. The BlackBerry Slider/Torch 9800 has been pictured plenty of times now, but today it finally let it all out and showed off once again. The latest round of photos snag pretty much every imaginable angle of the device leaving nothing to the imagination. From here on out there really isn’t anything on it we haven’t seen, although we still don’t know for sure just what it will be called or even when it will be released. It’s kickin’ it on AT&T and running BlackBerry 6, and even though we got our fill on video already, it’s never a bad thing to see some more. Plenty of photos over at Engadget to feed your appetite. Posted in Blackberry and tagged 9800, Blackberry, RIM. Bookmark the permalink. Posted in Blackberry. Bookmark the permalink. Bagaimana bisa ganti handheld Blackberry baru? Dengan pengantian Blackberry baru tentunya BB PIN juga ikut ganti, bagaimana dengan BBM saya? Apakah saya harus reinvite lagi semua contacts BBM saya? Bagaimana dengan data data saya di Blackberry lama saya? Blackberry bukan HP biasa karena punya PIN yang unik untuk setiap blackberry yang kami gunakan untuk blackberry messenger. Dengan tahun baru dan peluncuran beberapa jenis Blackberry baru seperti Gemini dan Onyx tentunya anda ingin upgrade blackberry baru. Sebelum beli anda pasti kwatir dengan cara transfer contacts atau PIN anda. Posted in Blackberry and tagged Blackberry. Bookmark the permalink. Lists, Lists, Lists!!! – You can create, delete, subscribe, add members, view members, all the functionality you would expect of an Über mobile client! Find People – You can search for people, just like the ‘Find People’ link on Twitter’s home page. New Icon – We love it! Retweets – We support the old method and new method, you decide! Update Twitter Profile – Yes, you can update your Twitter profile directly from your phone. Profile Picture – We have heard you, upload a picture for your Twitter avatar right from your phone! Report Spam – One menu selection to report a tweet as a spam. Twitter Geo-Tagging – We provide support Twitter’s new geo-tagging capability. You can decide whether to use myloc.me URLs, Twitter Geo-Tagging, or both! Larger Avatars – Click the profile picture, and view a larger version! You can even email that larger version! TwitLonger – Yes, you can tweet MUCH longer tweets now, thanks to the folks over at TwitLonger.com, we have fully integrated this capability into both sending long tweets, and automatically retrieving long tweets. We love it! What The Trend? – Ever wonder why certain topics were trending or what they meant? No more! We have integrated with the folks over at WhatTheTrend.com to allow you to see the explanations for trending topics, and also for you to provide your own explanations! Choice of timeline layout – Choose the new ‘bubble’ layout or the original ‘bar’ layout. Network Connection Logic – We re-worked the network connection logic, things should be alot smoother. Nahh.. setelah baca, silahkan klik download ubertwitter dari browser blackberry anda. Posted in Blackberry and tagged ubertwitter. Bookmark the permalink. Bukan suatu fenomena aneh di Indonesia bila gadget canggih akan booming.. Contohnya saja E90, dimana Jakarta merupakan tempat launching barang mewah Nokia tersebut. Bayangkan saja, harga launchingnya saja mencapai 15 juta rupiah. Namun banyak sekali warga Jakarta mengantre untuk menikmati mewahnya Nokia E90. Posted in Blackberry and tagged Blackberry, RIM. Bookmark the permalink.